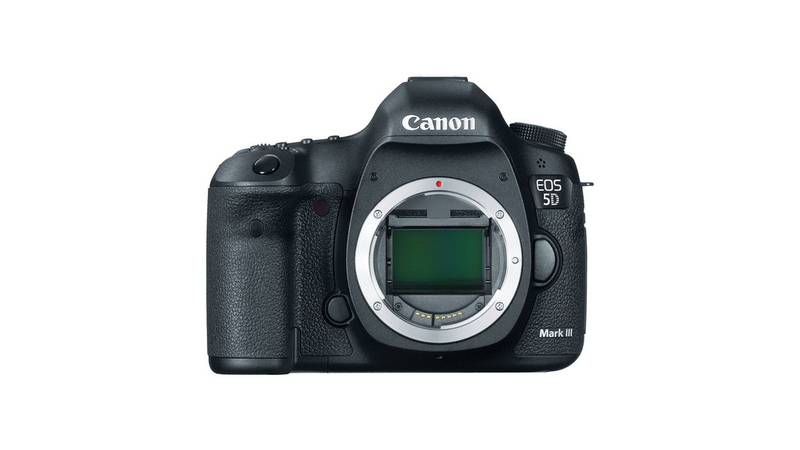 The Canon EOS 5D Mark III DSLR Camera (Body Only) is a full-frame 22.3MP DSLR featuring exceptional still image and movie recording capabilities. Integrating Canon's new DIGIC 5+ Image Processor and 14-bit A/D conversion, this camera is able to produce superbly detailed imagery with immense low-light sensitivity that is further aided by an extended ISO range up to 102400. Image quality is further enhanced by the new 61-point high density reticular autofocus, including up to 41 cross-type AF points and 5 dual diagonal AF points for ensured sharpness.